Our wooden banister, up the stairs and along the landing, is currently finished in a reddish colour. We are looking to get this prepped back and repainted in an appropriate paint, in white. 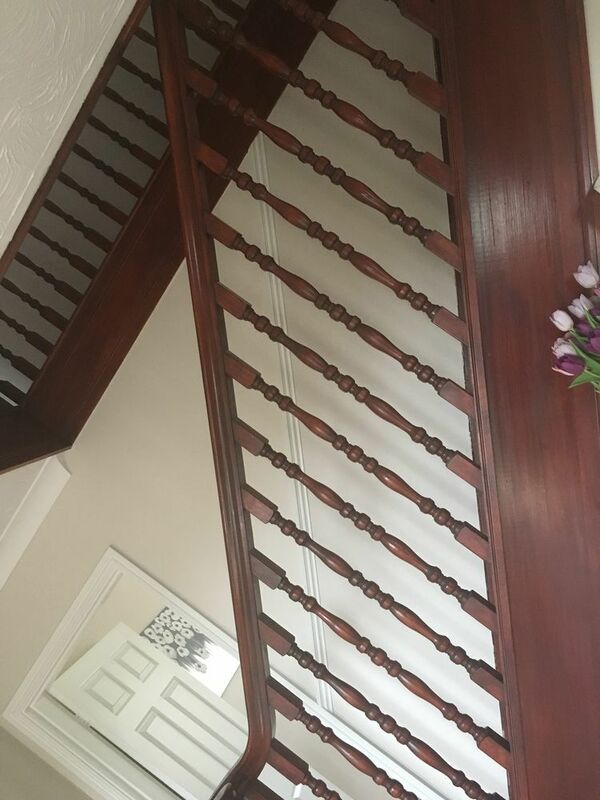 Brian and Hayley did a great job transforming our banister from a dreary dark maroon to a bright and fresh white. They worked hard and cleanly and left the job in a tidy state each day. They were cheery and approachable and clearly took great pride in their work. Would be happy to recommend.